below a lawned rise and rounded ship’s-bridge windows. which bind or loosen the south Limerick damp. and points to a martyr’s iron tears. then ghosted away at a bend. from Noonan’s pumps and coal. that has never found its country or its breath. My novels The Mercury Annual and Pilgrims at the White Horizon are both available on Amazon, along with my poetry collections Batmans Hill, South Staffs and The Girl from Midfoxfields Good reads (to filch the title from another site). An Apollo mission poem (the Apollo 11 mission forms the background to 'Bikes', below). This is more of an oddity than anything in Bowie's song. I don't know if it's in Plomer's Collected Poems. I found it in London Magazine: 25 Years, 1961-1985, edited by Alan Ross: a wonderful miscellany of contributors including Auden, Larkin, Nadine Gordimer, William Trevor and Keith Vaughan. Plomer's poem is in his handwriting. 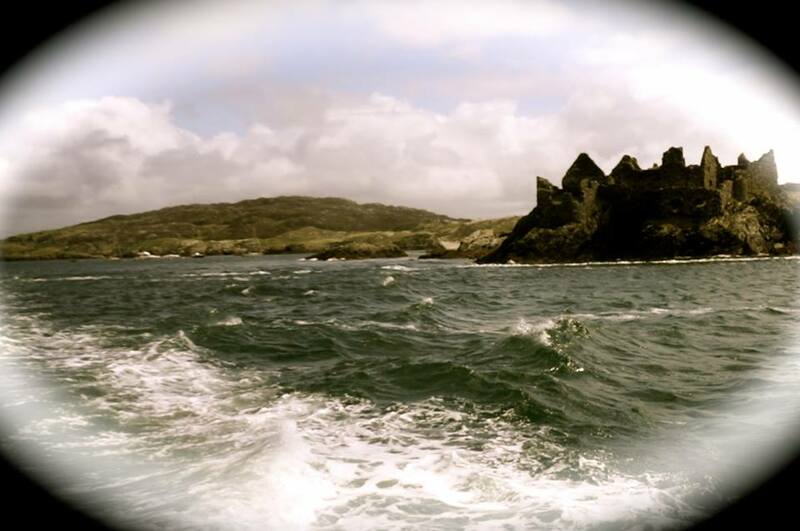 'Inishbofin, Co. Galway, from the Ferry.' By my cousin, photographer Vince Conlon. Here is a poem from my new 2015 collection, Come To Pass. hulled miraculous from dross and switch. assured that each fall has its pillow. and beats down the world. felt the minutes, hours, days flow down our skin. and get himself misheard by history. and windows sang of pinball wizardry. netted with one wing twitching. We roared on. He jumped stiff-legged, a toddler testing beds. a flag to be unloved by July breeze. rode home, hear time complaining at the snow? to speed to joy to muscle—the right stuff. of joy, of speed and fire, endless sun.